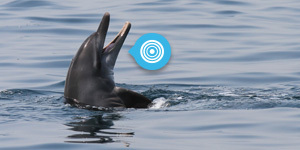 UAE dolphin project is distributed with License Creative Commons Attribution – Noncommercial – No Derivative Works 4.0 International. UAE dolphin project / Ada Natoli PhD 2015. UAE dolphin project logo and design from Superprogetti. Our system font is Titillium. SIL Open Font License, 1.1 Titillium is born inside the Accademia di Belle Arti di Urbino as a didactic project Course Type design of the Master of Visual Design Campi Visivi. The aim of the project is the creation of a collective fonts released under OFL. Each academic year, a dozen students work on the project, developing it further and solving problems. Any type designer interested in the amendment or revision of Titillium is invited to co-operate with us, or develop their own variants of the typeface according to the terms specified in the Open Font license. We also ask all graphic designers who use Titillium in their projects to email us some examples of the typeface family in use, in order to prepare a case histories database. Special thanks go to:Prof. Luciano Perondi, design and curation, Prof. Marcello Signorile, coordination, Prof. Manuel Zanettin, web project supervision, Diego Giusti, design of the first prototype. See this overview on Fontsquirrel. The software forum is bbPress. bbPress is forum software with a twist from the creators of WordPress. Easily setup discussion forums inside your WordPress.org powered site.